Millions of people suffer from tinnitus. For some, it is no more than an occasional annoyance. Others experi­ence continual noise that causes overwhelming stress. Because tinnitus can be a by-product of so many other conditions, it is possible that by discovering and treating another disorder, your tinnitus will go away. Some of the possible causes are high or low blood pressure, a tumor, diabetes, thyroid problems, a head or neck aneurysm, syphilis, atherosclerosis, or anemia. See a specialist in this area, an otolaryngologist or otologist, to rule out any treatable condition. If you come away with a clean bill of health, but are still hearing noises in your ears, don’t think you are crazy. It is possible to have tin­nitus by itself. While there is no cure, experts say you can learn to cope with the condition. Cut the clamor. Studies show a connection between long-range exposure to loud noises and tinnitus. 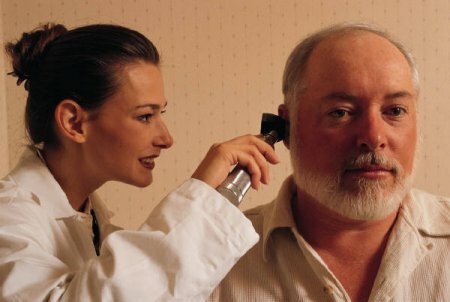 If your job involves loud music or machinery, or you spend lots of time around sporting events, motors, or tools, you may gradu­ally feel the effects of tinnitus. To conserve your hearing, you should try to avoid the noise if you can. If that’s not possible, then use ear plugs or muffs, spend as little time as possible in the noisy environment, and try to lower the sound. Put down the pick-me-up. 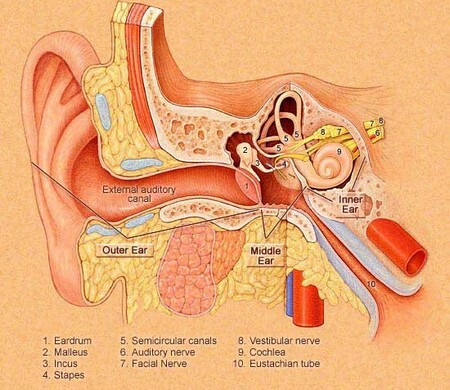 The mechanisms in your ear rely heavily on the nervous system to make it work. If you overstimulate your nerves, you could make your tinnitus worse. Try to avoid stimulants like nicotine, alcohol, and caffeine. Sounds to sleep by. Many tinnitus sufferers find they can’t fall asleep because of all the noise in their ears. So, relax, wind down, get comfortable, and maybe put on some soothing music. Relaxation tapes and environmental sounds can help block the noise, too. If you prefer, you can turn on a fan, tune in to static on the radio, or put the TV on low. Learning to live with tinnitus may be the greatest challenge you will ever face. Call time out. Anyone who suffers from tinnitus knows just how stressful the constant noise can be. Unfortunately, anxiety will only make your condition worse. If you can learn to control your emotional response, you can break the cycle. There are many stress-reducing techniques avail­able; you just need to find what works best for you. Some easy steps to begin with are deep breathing, tension-releasing exercises, and mental imagery. Get physical. Exercising every day will not only improve your overall health, but your mental health as well. Find an activity you enjoy, and stick with it. You will feel stronger, and it may distract you from your discomfort. You may even find it’s a good way to take out your frustrations with your condition. Stay positive. Tinnitus may very well be a perma­nent part of your life, but that doesn’t mean it has to defeat you. Keep trying different treatments until you find the one that works for you. Learn how to help yourself. Biofeedback is a tech­nique where you learn to control otherwise auto­matic functions of your body, like heart rate and blood pressure. This, in turn, will allow you to control your stress. Hypnosis and acupuncture have not been proven successful in every case, but under a professional’s care, you might find they work for you. Education is hope. Learn about your condition. Tinnitus can be frightening, but rest assured it is not life threatening, nor a sign of mental illness or stroke. The condition also does not cause deaf­ness, although you may experience some hearing loss. Seek support. Join a tinnitus self-help group like the American Tinnitus Association (ATA), get pro­fessional counseling, and don’t be afraid to talk about it with your family and friends. They need to understand your condition, too. Hearing aids can increase the sound level around you, making it easier to ignore the sounds you hear in your head. A hearing aid also will help with any hearing loss you may have. Tinnitus maskers look like hearing aids, but they make a specific noise designed to cover the type of tinnitus sound you hear. A tinnitus instrument combines the functions of both a hearing aid and a masker.